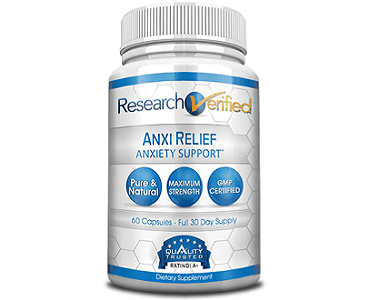 Welcome to our in-depth review of the Research Verified AnxiRelief Day and Night Formula. This comes in two different supplements for the day and night intake to combat anxiety. It uses all natural ingredients to further ensure the safety of the individual taking the product. It promotes its ability to help the person stay calm and relax to help get a good night’s sleep. 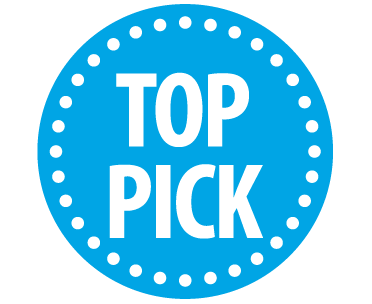 Research Verified is known for top-quality products. A ot of research has gone into their formulation and they provide many benefits. There are various reviews about Research Verified online if you wish to learn more. The nighttime relief formula includes a different set of ingredients which are known to help induce a relaxing sleep. The Research Verified AnxiRelief Day and Night Formula is a food supplement and as such will have similar dosage instructions as other food supplements. For best results, take two capsules daily. Take the Daytime formula in the morning before breakfast and the Nighttime formula before dinner. Remember to take 8 oz. of water each time as well. While relatively safe, the Research Verified AnxiRelief Day and Night Formula does come with some of the dangers of anti anxiety supplements. Remember to take only the recommended dosage on the bottle. Do not exceed intake and always drink the supplement on schedule as improper ingestion of the supplement may cause your internal clock reset. One bottle of the Research Verified AnxiRelief Day and Night Formula is priced at $48. The official website offers package deals that give discounts. The 3 bottles package will drop the price of each bottle to $33 and the 6 bottle package drops it further down to $24 per bottle. Supplements such as this that helps treat anxiety or sleep disorders usually work within a week or 2. 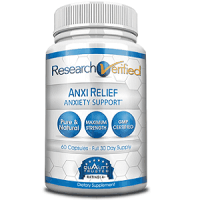 The Research Verified AnxiRelief Day and Night Formula come with a 365 days money back guarantee. If for any reason you are dissatisfied with the product or if you find that you are having some adverse effect upon use, you can send it back to Research Verified as long as you are still within the 1 year return period. Opened and unopened bottles can be returned, just show your proof of purchase and they will give you a full refund. The Research Verified AnxiRelief Day and Night Formula have its merits due to the fact that it uses ingredients that are well-known in combating anxiety and sleep disorders. Since it uses two different formulas, it is also quite flexible and will cover much more ground in treating your anxiety. This is a great product for those who have anxiety problems as well as sleeping disorders as each bottle covers the necessary issues and offers the appropriate and safe solutions. If you are looking for a dependable anti anxiety supplement then you can try this one as it also comes in a monthly supply deal with high discounts.